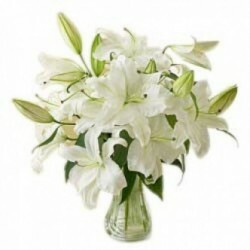 Try our spellbinding range of lilies not only for anniversary but for other occasions as well. 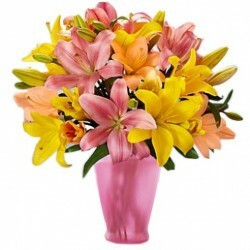 Don't miss the chance and send these beautiful lilies as a token of love and show your spouse how much you care for them. Our orders aptly reflect immense love and commitment. 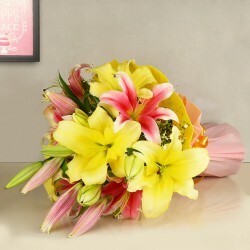 Flowers symbolize every emotion, be it love, friendship, peace, joy, happiness and what not. 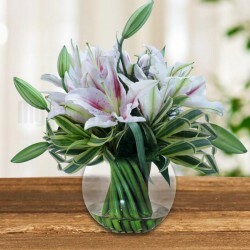 Talking about the occasion of a wedding anniversary, lilies are a big hit. 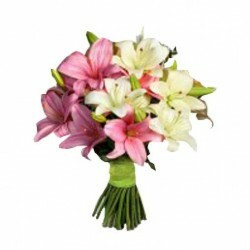 Rekindle love, trust and companionship on your wedding anniversary with our exclusive range of lilies for anniversary. Our motto is to not just deliver flowers and flower arrangements but all in all happiness with an aim to serve our customers par excellence. After all, customer satisfaction is what we excel in. We are here to assist you in all your orders with the help of our customer service specialists. Their continued support and commitment have taken us a notch higher. We totally understand that you share a unique bond with your spouse and would want to continue that relationship for the life ahead. Choose the ones that best express your love for them and get them delivered at a convenient time as deemed suitable to you. 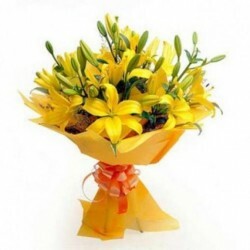 With our online flower delivery service for anniversary, you will be able to celebrate the occasion with immense pleasure and brighten up your day. 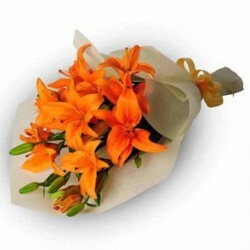 Convey the unsaid feelings through our lilies for anniversary online and be at a privilege to always get nothing but the best. 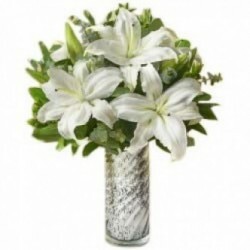 The mesmerizing fragrance of lilies will leave you stunned and will compel you to order them every time as an anniversary gift. 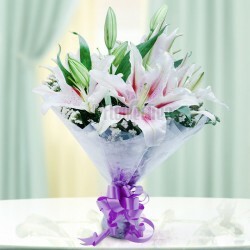 If you are looking for Anniversary gifts, you cannot miss the fascinating white and pink lilies. 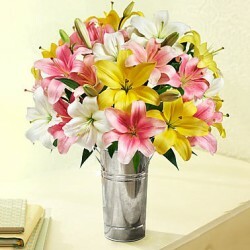 Contact us for anniversary flower delivery and get fresh lilies and other flowers viz. roses, orchids and gerberas delivered at the desired destination. 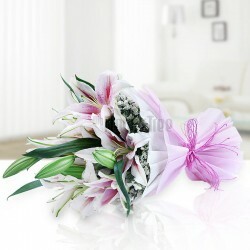 MyFlowerTree delivers high-end white and pink lily flower bouquet online within 3 hours of order time. 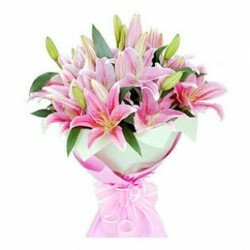 You might also select from roses, gerberas and orchids as well, apart from lilies as a gift to give on a wedding anniversary. 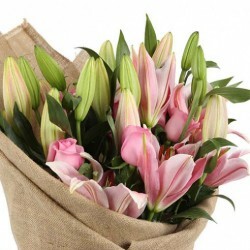 Be it the peaceful white lilies or the adorable pink lilies, we deliver them all with assured quality deliverance. 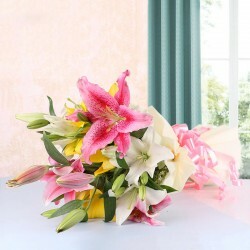 Check out our refreshing range of lilies and make your orders personalized by attaching your wishes and greetings together with the flowers or gifts. At MyFlowerTree, what you see is what you always get! Products in this category have been rated 4.8 out of 5 based on 102 reviews.